The Multitrack Hard Disk Recorder allows you to record the output of any machine and record it to 16-bit Integer or 32-bit Floating Point PCM encoded.WAV files for full-quality post-production editing or for conversion to MP3/FLAC/etc. Low Latency ASIO And DirectSound Audio Output Support. DirectSound Full Duplex Support For Low Latency Input And Output. 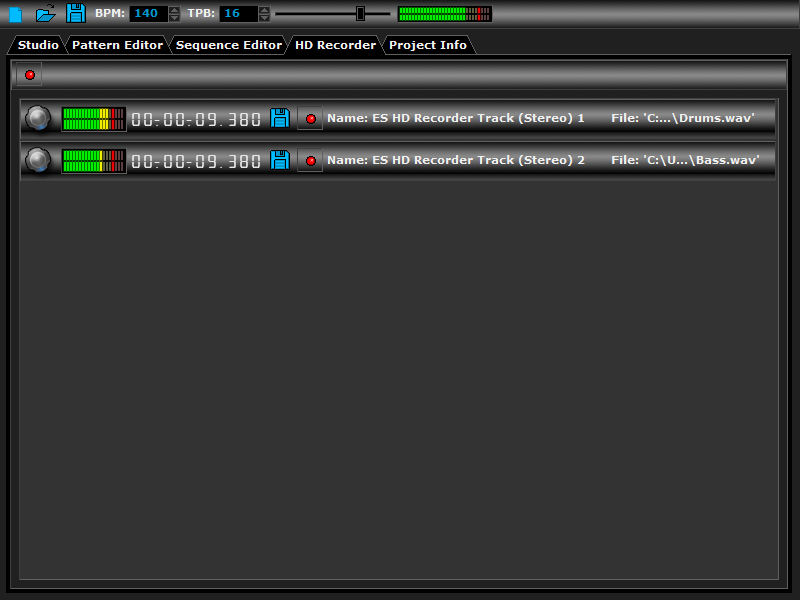 ES Audio Input - Allows For Input From Sound Card. 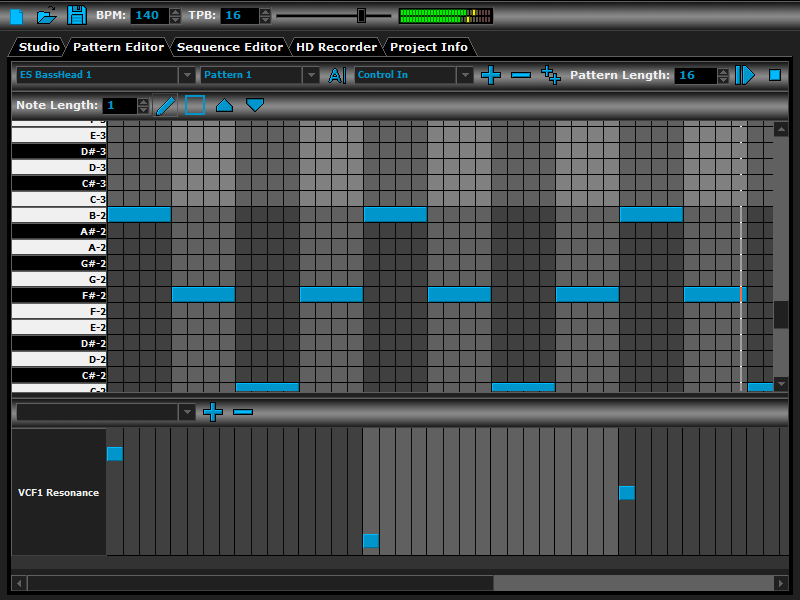 ES MIDI Output - Sequence External MIDI Synthesizers. 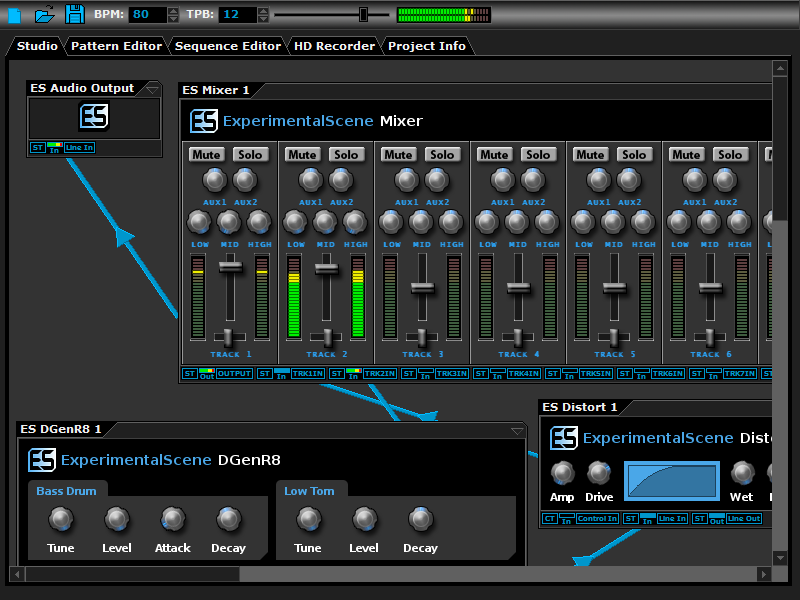 ES Mixer - 8 Track Stereo Mixer With 2 Auxilary Tracks. ES DGenR8 - Synthesize Drum Beats With Roland TR-909 Flavour. 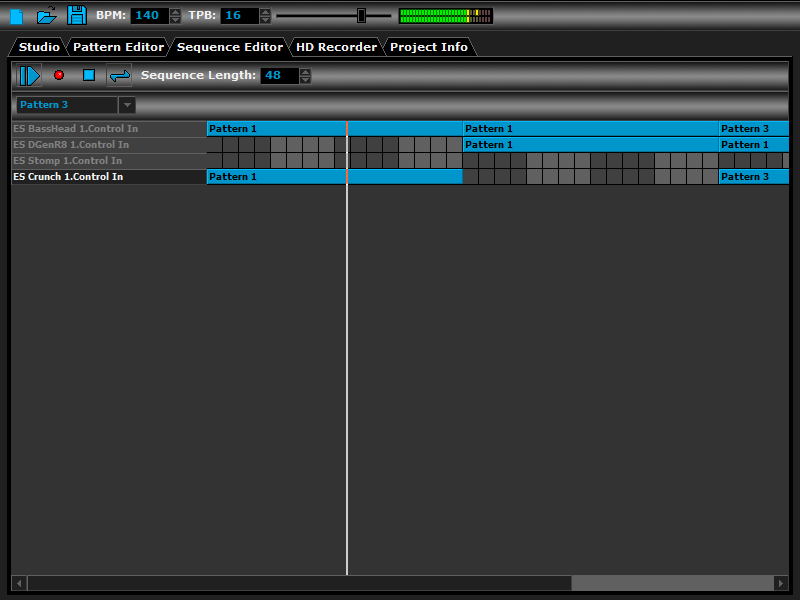 ES BassHead - Top Notch Virtual Analog Subtractive Synthesizer. ES SpatialVerb - Realistic Reverb Effects With The Smoothest Sound. ES Stomp - Synthesize That Classic Techno Thumping Kick Drum. ES AntiAlias - 32x Digital Oversampling Filter. ES QuadDelay - For Trippy Echo Effects. ES Distort - Basic Overdrive Distortion Effect. ES Crunch - Limit Bits Per Sample Anywhere From 16 To 1 Bits. ES StereoSplitter - Split An Input Stereo Signal Into Left And Right Output Mono Signals. ES StereoJoiner - Combine Left And Right Input Mono Signals Into A Single Output Stereo Signal. ES Scope - View Generated Waveforms In Realtime. ES Control Monitor - View Control Messages. ES DownStepper - Sample Rate Reduction Filter.